﻿ Amos Digue Pension House, Palawan - SAVE ON AGODA! "I would highly recommend this place!" Have a question for Amos Digue Pension House? "We had a good time, staff were extremely helpful." "Very clean facilities and great location." 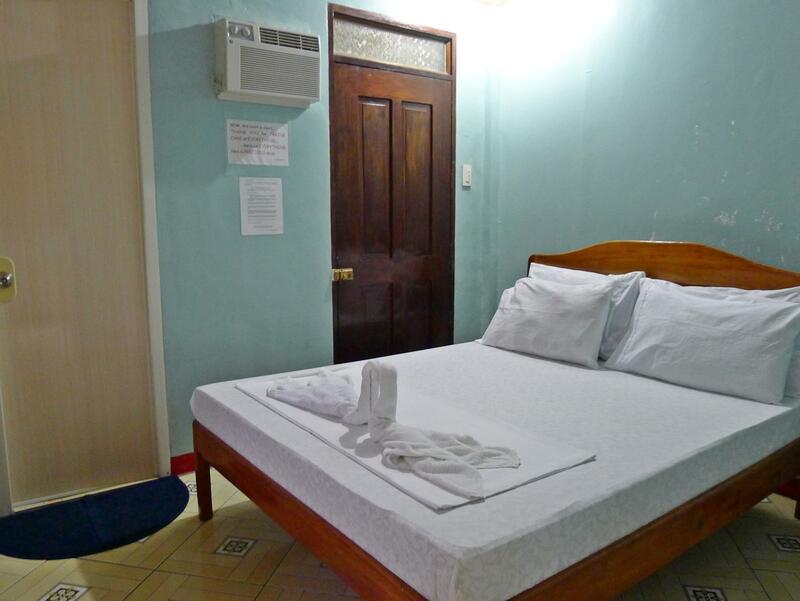 Conveniently located in Palawan, Amos Digue Pension House is a great base from which to explore this vibrant city. Set 70 km from the excitement of the city, this 1-star hotel commands an excellent location and provides access to the city's biggest attractions. With its convenient location, the hotel offers easy access to the city's must-see destinations. Offering hotel guests superior services and a broad range of amenities, Amos Digue Pension House is committed to ensuring that your stay is as comfortable as possible. For the comfort and convenience of guests, the hotel offers free Wi-Fi in all rooms, Wi-Fi in public areas, tours, laundry service, smoking area. The hotel features 5 beautifully appointed guest rooms, many of which include internet access – wireless, non smoking rooms, air conditioning, desk, shower. Whether you're a fitness enthusiast or are just looking for a way to unwind after a hard day, you will be entertained by top-class recreational facilities such as massage. Whatever your purpose of visit, Amos Digue Pension House is an excellent choice for your stay in Palawan. "A fantastic place to stay for what you get." The accomodation has absolutly simple furnishment and bath room. The power is just for few hours a day. The Wifi doesn‘t work,even there is power. The price is absolutly to high for this simple standart. You can have much cheaper sleeping options with the same standart. Away from the beach, no breakfast, no moscito net, no chair. Very low value for the money. Decent for the money. It was about a "2" out of "5". Great beach nearby and tour of the underwater cave. Good location right next to port. The manager organised our underground river tickets which was appreciated. Roosters crowing from 4am, which wasn't good. Electricity from check in to next morning. Basic bathroom. Comfy bed. Very clean facilities and great location. very helpful for organising tours to underground river and other tours nearby. Sabang is a beautiful little place with a great vibe! The man that runs the place was so very helpful! He would single handily help me with my inquiries, include help booking tours. His dedication and hard work to provide you the support you need is very admirable. Simple/modest accommodations provide you what you need at a budget/reasonable price hotel for the area. Good quality toilets that flush well, running shower with good water pressure. Showers are cold but the weather is so hot, so cool showers are a relief and not a problem. Electricity is in the evenings through overnight - Free wifi, air conditioned rooms. During the daytime you are out traveling in the area anyways. I would highly recommend this place! A fantastic place to stay for what you get. There a better places in Sabang. Here only good things were the aircond and working wifi. But it is overpriced. Room is very small for 2 person. no breakfast included. Not much use for aircond because electricity only on from 6pm to 7am. In February this year no need for aircon by night time. we had a good time, staff were extremely helpful. Only concern was the mosquitoes so we bought coils. Teniendo en cuenta lo caro que es Palawan, es aceptable si se contacta telefonicamenteo se llega sin reserva, ya que el dueño ofrece un precio muy inferior al que se puede encontrar en las webs. A part la localisation, le comfort est réduit au strict minimum, un lit une chaise et basta. L'hotel si trova in una posizione strategica di sabang, da li partono tutte le escursioni per l'underground River, personale praticamente inesistente... veniva gestito da una ragazzina molto inesperta, pulizia molto scarsa e struttura molto trascurata. Eravamo consapevoli di andare in un posto in cui dovevamo adattarci ma siccome abbiamo pagato praticamente quanto un 3 stelle europeo è' giusto che UN MINIMO di accuratezza ci sia.